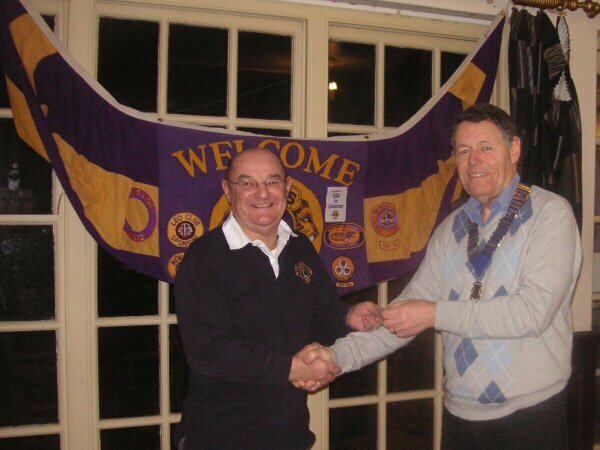 At the last business meeting the President of Alton Lions, Graham Dix presented member Mike Baker with two awards. As well as his 10 year chevron Mike was also presented with a Key Member Award. This was awarded by Lions Clubs International for his work in attracting new members to the club. President Graham said that as well as encouraging new members Mike had led by example serving two years as President, four years as secretary and organising the successful Craft Markets held monthly in the Market Square. Graham said that that the club was still looking for like minded people who wanted to get involved in the community and share ion the service and fellowship.